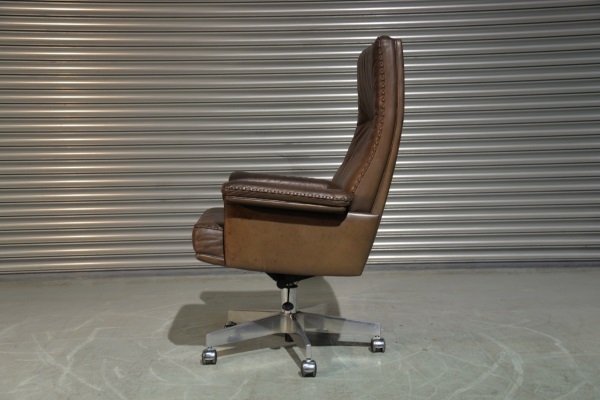 Rare vintage De Sede DS 35 Executive armchair on casters. 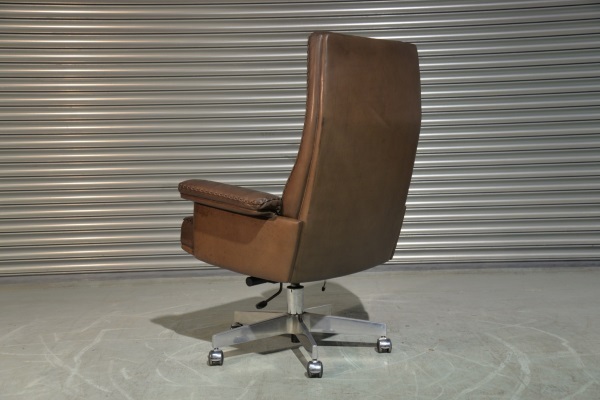 Hand built to incredibly high standards by De Sede craftsman in Switzerland. 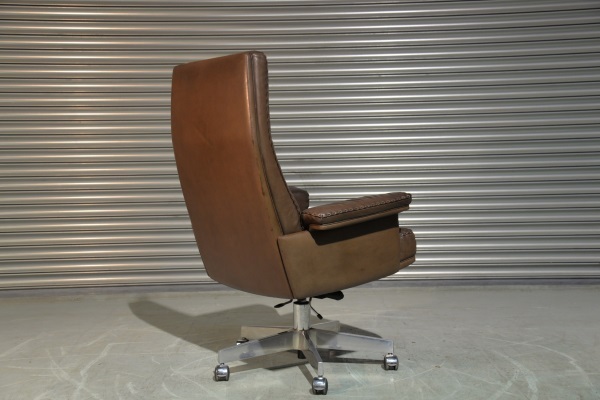 This iconic swivel armchair is upholstered in stunning brown aniline leather with superb whipstitch edge detail. 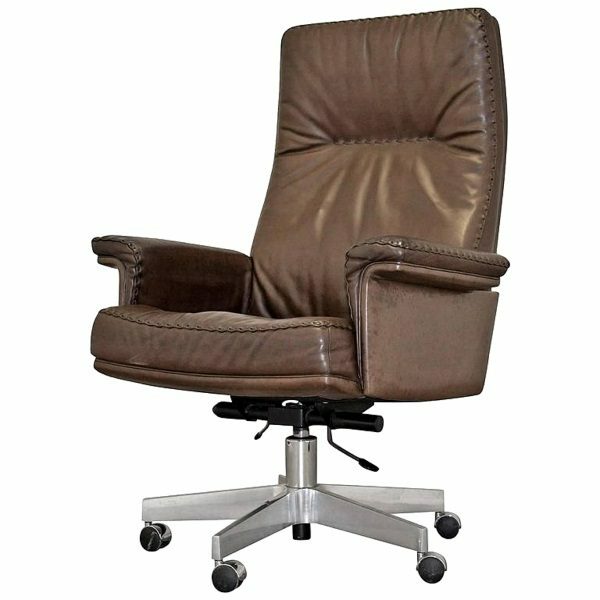 These swivel armchairs stands on an aluminium swivel base with castors. The seat height is 51cm and has a tilt mechanism. 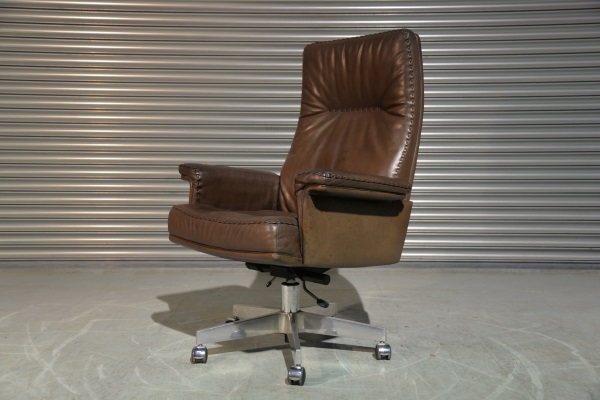 Excellent vintage condition and an extremely comfortable executive armchair. Customers responsible for return shipping.